Irina Melnik | Shaw Law Ltd.
Irina Melnik joined SHAW LAW LTD. in 2015. 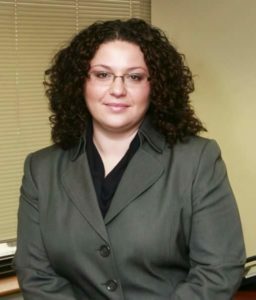 Ms. Melnik, an attorney for nearly 15 years, concentrates her legal practice in all types of administrative, civil, criminal, family dissolution and disputes, landlord-tenant, land use, and real estate law. Ms. Melnik received a B.A. from the University of Illinois at Chicago and a J.D. from DePaul University. Ms. Melnik served as an instructor at the University of Illinois at Chicago, and studied International Business Transactions and E.U. Law on criminal court matters at the Ca’ Foscan University of Venice. Prior to entering law school, Ms. Melnik worked in real estate property management and development. Prior to joining SHAW LAW LTD., Ms. Melnik ran her own private practice. DePaul University College of Law, J.D.